School-age occupants of buildings may be particularly sensitive to contaminants of the built environment, or unaware of the risks from exposure to hazardous materials such as asbestos. University and other tertiary education institutions also present a mix of issues to be managed given the varying type and function of the built environment across campus. Education institutions manage the associated risks through regular appraisal of indoor conditions and mechanical plant and all stakeholders benefit from the resulting transparent information. 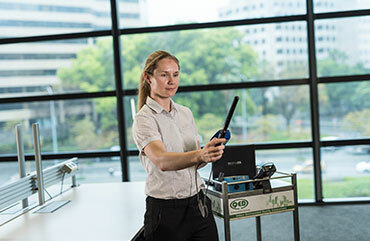 At QED Environmental Services we work with education providers in the primary, secondary and tertiary/TAFE sectors to assist facility management with compliance and performance of the built environment. Consensus research shows pollutants in indoor air may occur more frequently and at higher concentrations than in outdoor air. There is clear evidence that indoor air is the major source for workplace exposure to airborne contaminants, and limits for these are set in OH&S regulations around Australia. Certain university buildings have specific requirements, for example we conduct regular testing of operating theatres in medical schools and of science laboratories in certain settings. The scope of our compliance programmes in education buildings usually includes potable water testing because the plumbing systems in many buildings incorporate holding tanks or similar features which present a risk to be managed. To ensure the safety of occupants and contractors, regulations oblige all buildings to maintain current registers of stored chemicals and hazardous materials in their structure. QED schedules regular audit inspections and because we specialise in building compliance programmes, clients benefit from our tailored online service to keep their registers up to date. For 25 years QED has undertaken metropolitan and regional work for the WA Department of Education and for other public institutions such as University of WA. Private clients include many of the private schools in Perth as well as the facility management firms that support the education sector such as Spotless and Serco.